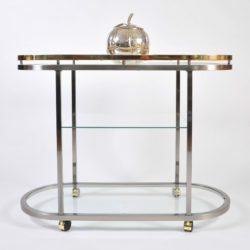 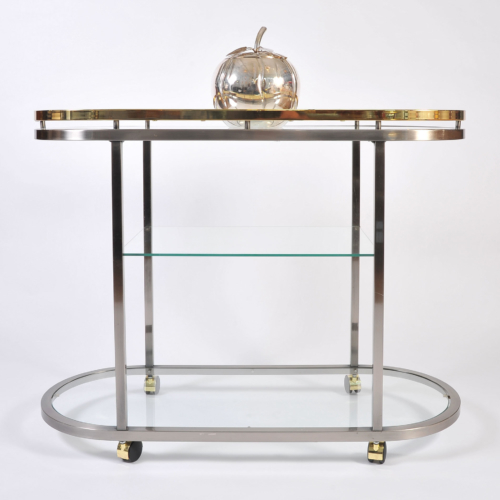 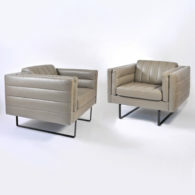 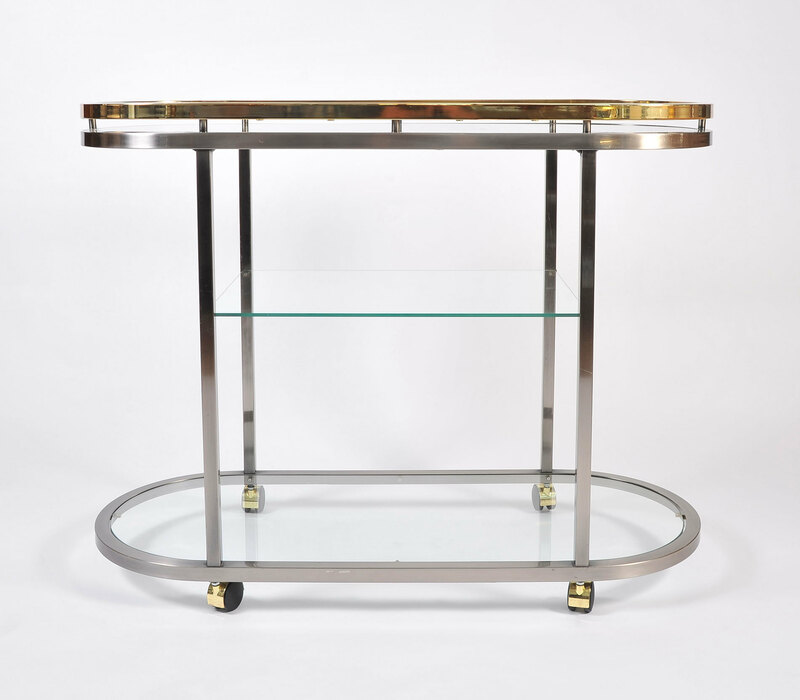 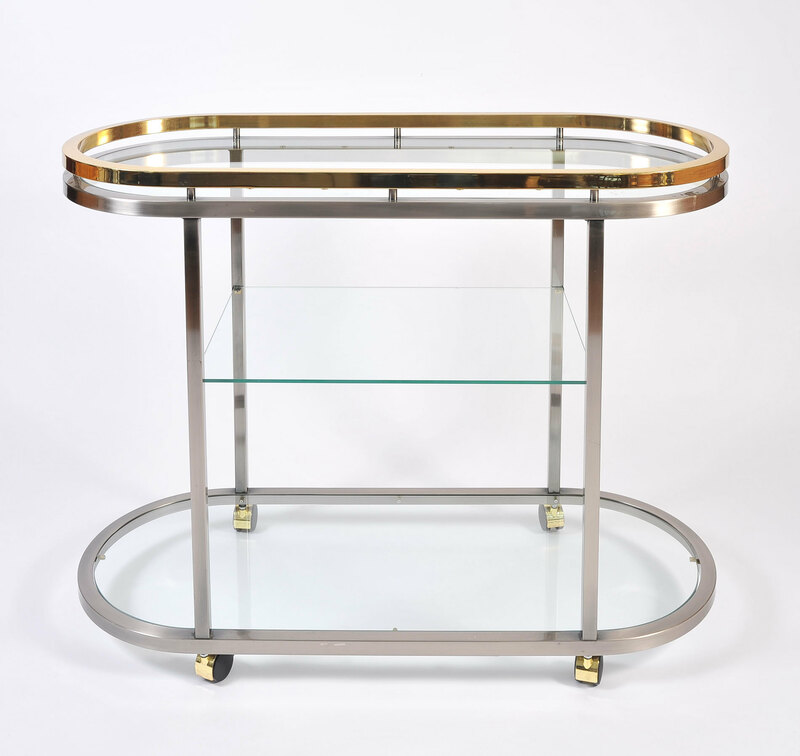 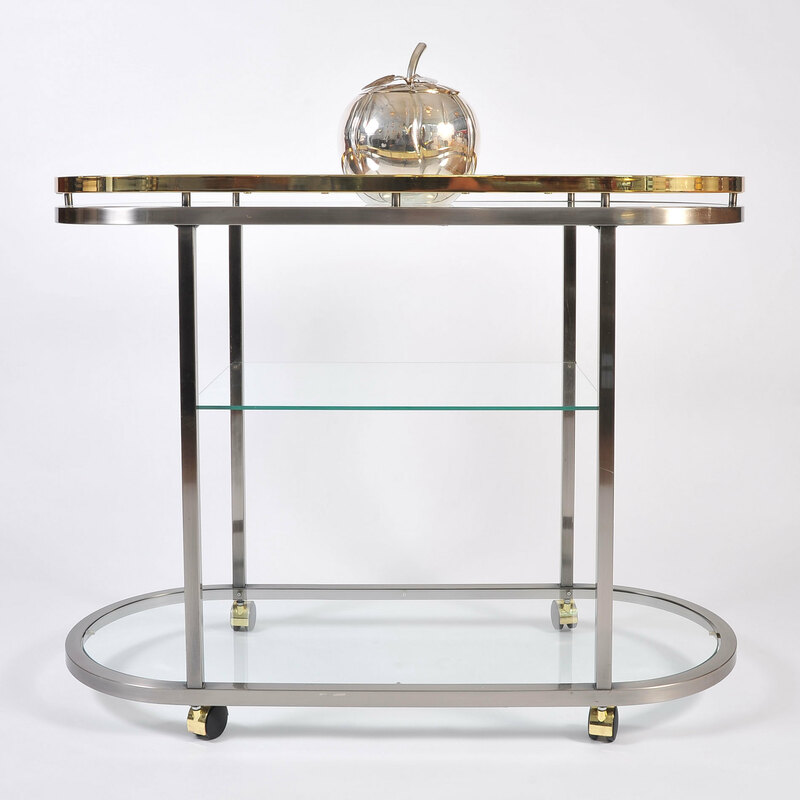 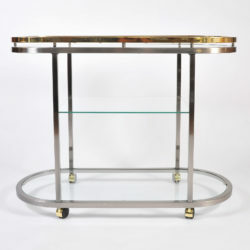 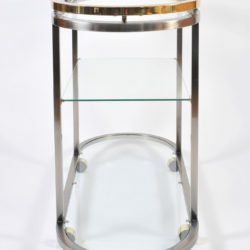 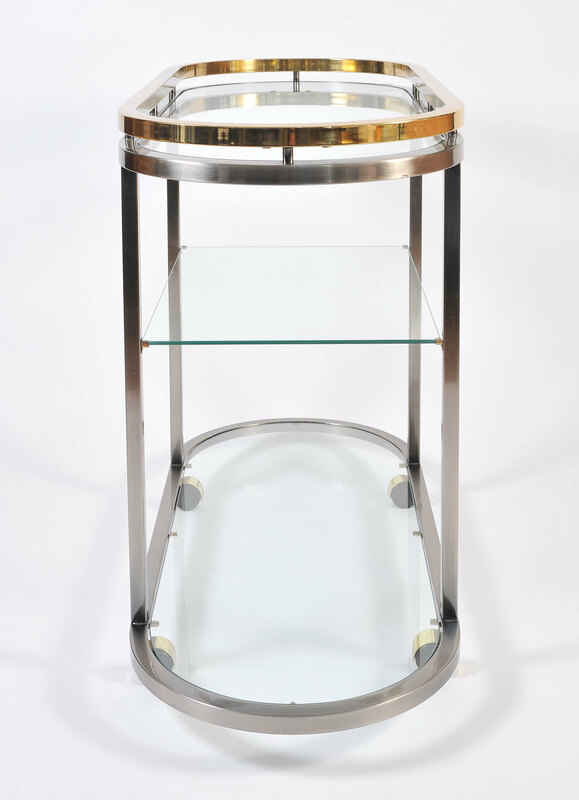 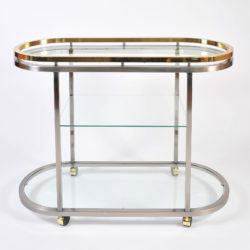 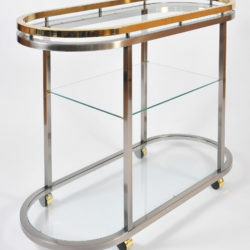 Ultra chic mid-century modern drinks/serving trolley or console by Milo Baughman. 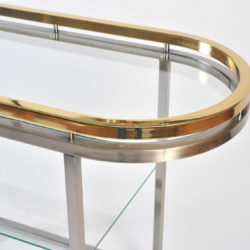 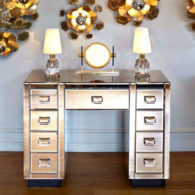 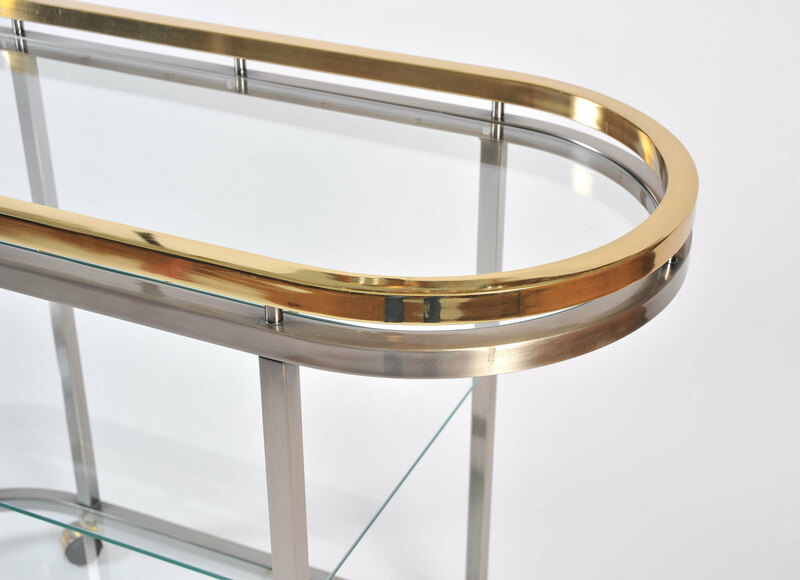 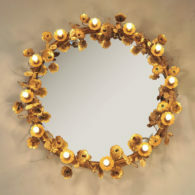 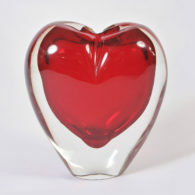 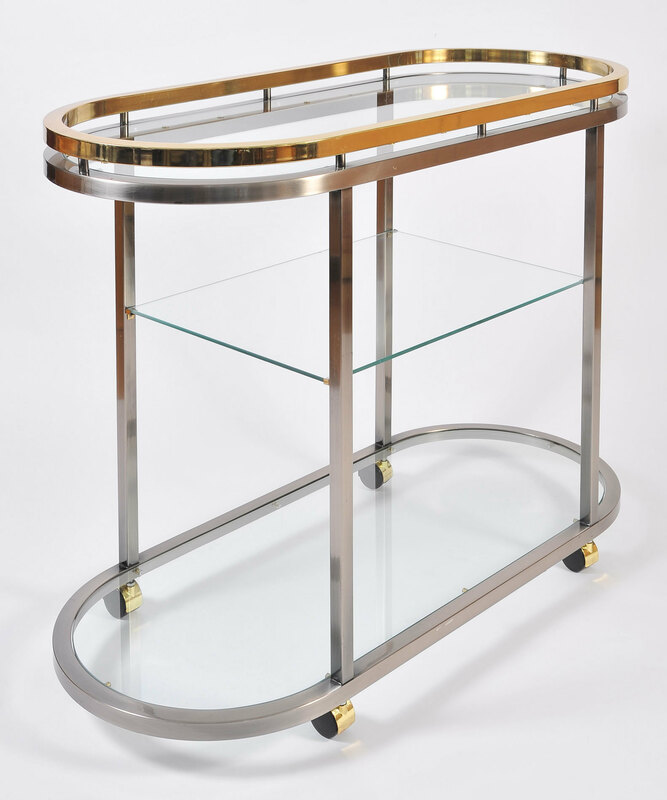 Executed in smooth chrome and brass curves of two layers with a hidden central glass shelf. 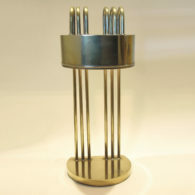 Moves on brass casters.